Let us know if you need assistance getting started on Jet! In order to ensure we are able to guide you through the Jet Marketplace on-boarding process, we request that you add us as a user with "Manager Access" in your Jet Partner Portal. Invite the @zentail.com email address we provided to you in your Welcome to Zentail, Let's Get Started! welcome email. 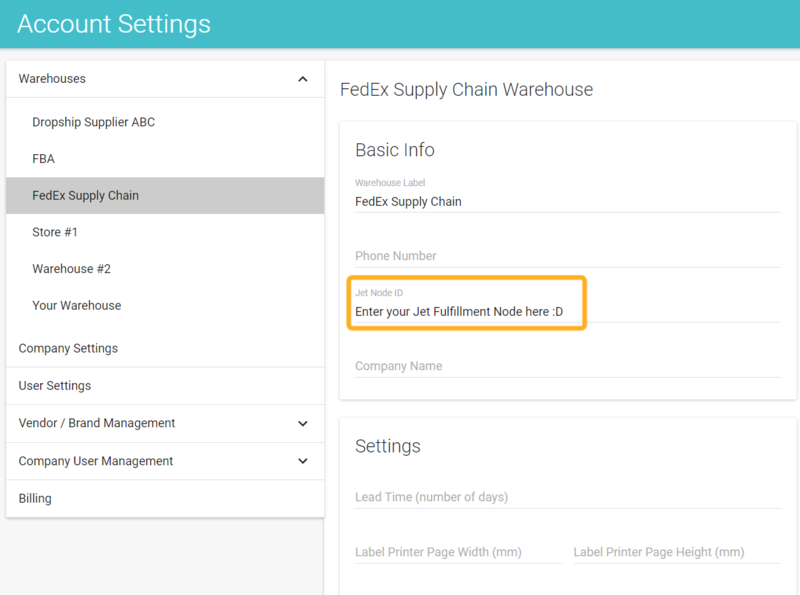 Copy and Paste the Jet Fulfillment Node ID for the corresponding warehouse into the "Jet Node ID" field in Zentail and save your changes. (For ex. 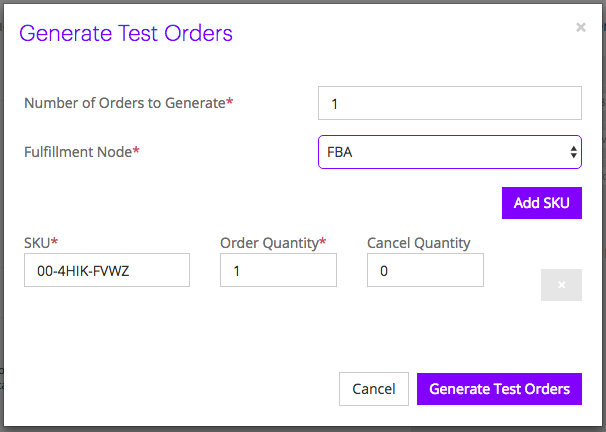 If you create a Fulfillment Node for your "FBA" warehouse, make sure you enter it in the "FBA" warehouse in Zentail). All of your warehouses in Zentail (Account Settings Page) must have an accompanying Jet Fulfillment Node in your Jet Partner Portal. As a result, if you haven't done so already you will create a New Fulfillment Node for each warehouse. Clicking on the purple new fulfillment node button in your Jet partner portal and follow the onscreen prompts. 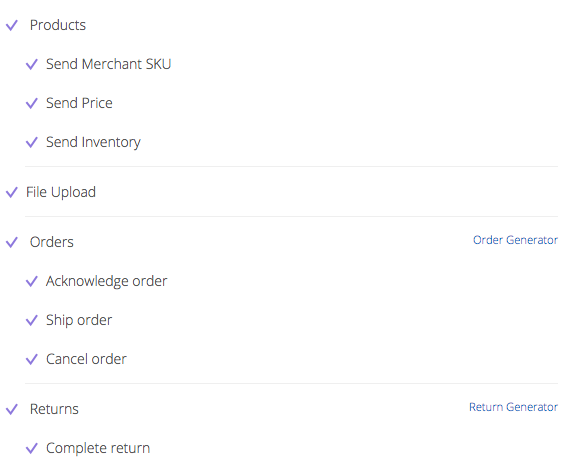 If you accept returns for FBA products you will have to create a New Returns Location. Click on the button that can be seen towards the top right in the above Jet screen shot and follow the onscreen prompts. 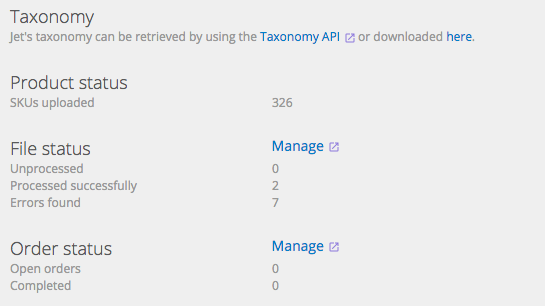 Click Get API Keys in the top right. Copy the Merchant ID, Secret, and API User keys into the corresponding fields on Zentail's Integrations page. Save Settings. Verify that the integration is in test mode, then enable the feed options and click "SAVE SETTINGS"
2. 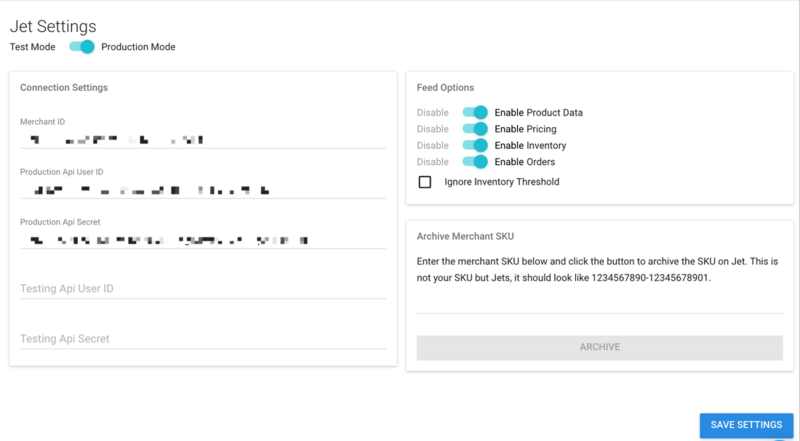 In your Zentail catalog, set a SKU to List to Jet. 3. Wait 15 minutes for your SKU to flow into Jet to confirm the API connection. In the popup that appears, go through each step by clicking the "Next" button. We recommend matching your total price (item price + shipping price, if any) with your pricing on Amazon. Please avoid double-charging for shipping -- if your pricing is "Free Shipping" on Amazon and that is the price you are sending to Jet, do not add shipping cost in Jet's fulfillment node setup as that will price you out of the market and can result in your SKU(s) not being approved for sale by Jet. If you are charging for shipping some or all shipping service levels / or carriers, we recommend using "Price Banded" unless you sell products that are over-sized with a wide shipping cost variance. 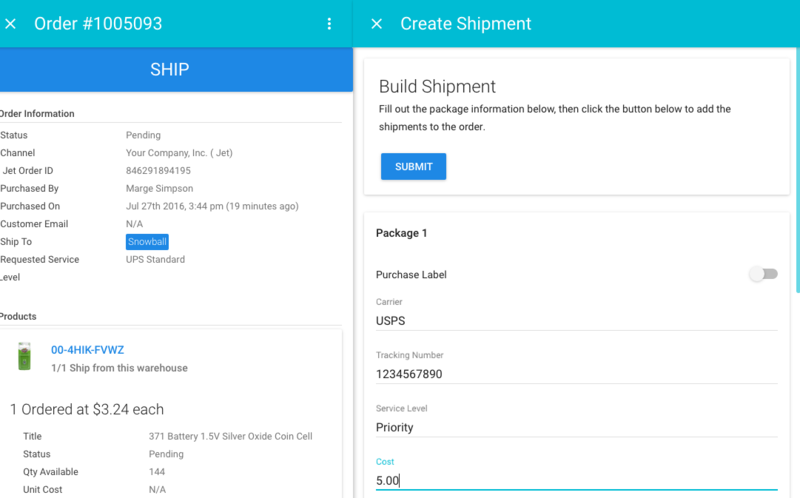 To get started, here's a Price-Banded shipping model that should allow you to start generating sales on Jet for inventory fulfilled via FBA. Note how the Standard service level is competitive and shipping is free for the customer once the value of your merchandise in their cart reaches $25. Generate an order to ship by selecting a SKU that is set to list to Jet in Zentail => Click "Generate Test Orders"
Generate an order to cancel by setting "cancel quantity" to 1 => Click "Generate Test Orders"
Refresh the Jet Test API page => Click "Return Generator" and select any order to return => Click "Send Return Notification"
If a Jet test order is not there, please refresh the page -- you may need to wait a couple minutes longer. Click the order => Click the blue "COMPLETE RETURNS" button. 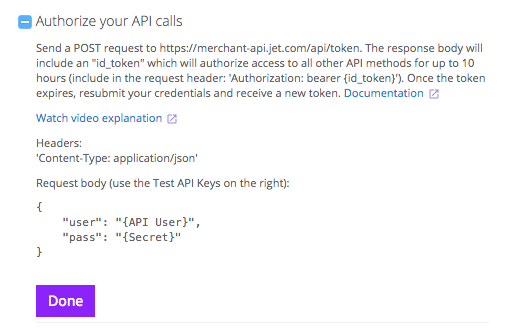 Refresh the Jet Test API page. All items on the checklist should now be completed. Enter them into the correct field, be sure no extra spaces or characters are included. Go to the Jet Partner Portal Dashboard -- it may take 24 hours for this view to update once have completed the Test API process. 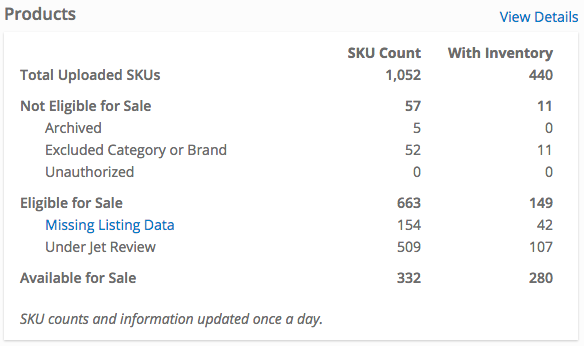 In the "Products" section on the dashboard, you can see how many SKUs are "Available for Sale". Click "View Details" to identify the status of individual SKUs. 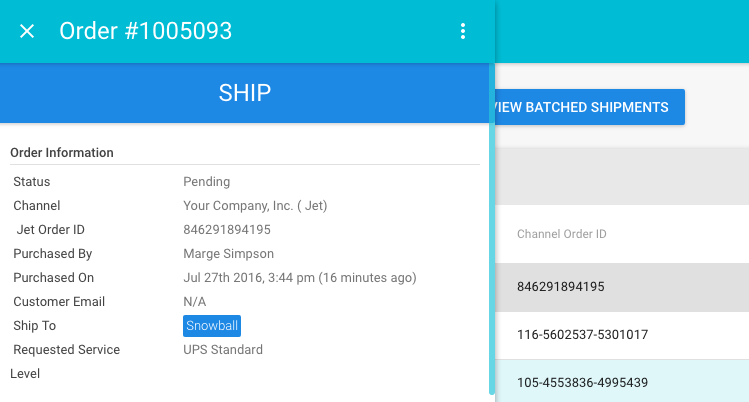 Address your Product Listing Errors in Zentail. Click the "All Sources" dropdown => Select the Jet option. Review the "Last Message" in each row and click the "SKU" value in the corresponding row to take action and edit that SKU. 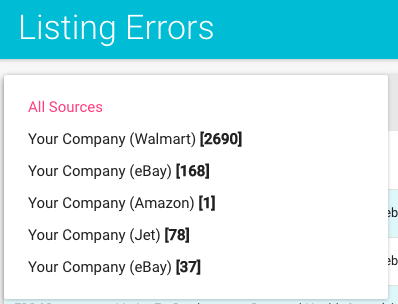 If your SKUs are stuck "Under Jet Review" or Missing Listing Data (see first screenshot): Please e-mail [email protected] to ask them to review your SKUs and to provide an internal report explaining why your SKUs are not "Available for Sale". You should also reach out to [email protected] if your SKUs are under review for more than 2 weeks.